What happens when you simplify the browsing of beautiful colors, create a no-fail matching system and bring in-store color displays into the 21st century? Come see for yourself and re-imagine the way you discover color. 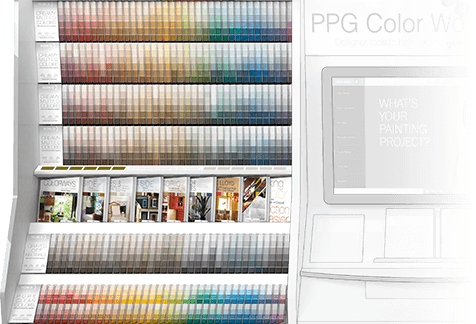 Kasparian’s Paint Center has a PPG The Voice of Color Work Station inside our store. Create a room or the exterior of your home with paint of your choice, so that you can get a good idea of what your house would look like with those colors. Using one of the cards, you will be able to scan and upload it for your project. Overwhelmed by over 1,300 colors? Us too. That’s why we reorganized our entire palette to make each row coordinate together beautifully. Not sure where to start? Every row begins with a card revealing its top three colors along with popular trim and ceiling colors. Never feel overwhelmed again. We didn’t get the memo that big screens were only for sports. Drag and drop colors, watch videos, paint rooms and more. Like what you see? Email your saved colors and projects to yourself and they’ll be waiting for you when you get home. 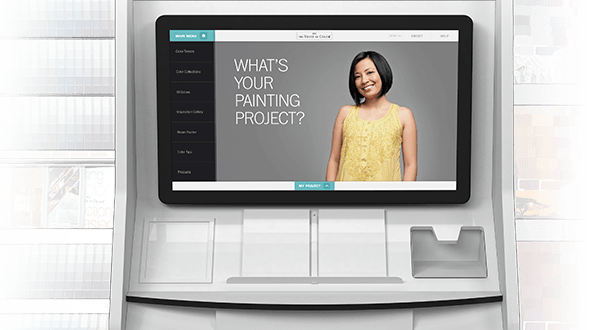 Signing up with PPG for your Voice of Color project is simple and free!